In the case of weft knitting, the interloping system in rows from the yarns with the same line engaged on the horizontal row and the looped yarns make the fabric fit on each other in parallel. 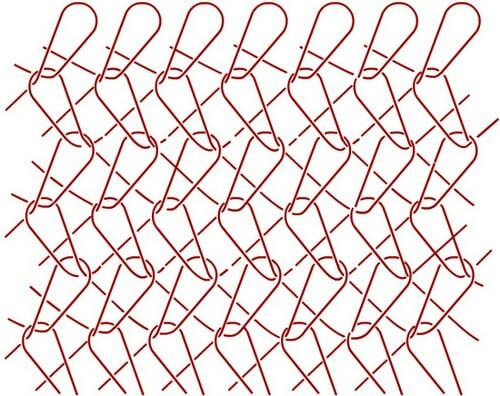 Such as the formation of Weft knitting, loops are formed interloping engaged with each other at 90-degree angle. On the other side of warp knitting, the interloping system are engaged with each other on two different angel of threads, such as replaced on each other. 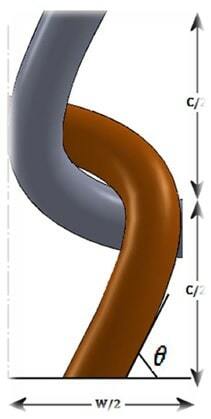 Thus the loops of yarns make the fabric fit processed by closed lap overwhelmed with under lap at 45 degree angle. We know from the definition of resilience that the object is slightly distorted for few times when the force is applied on an object. The elasticity is shown by the tendency to the returned state from this distorted state. 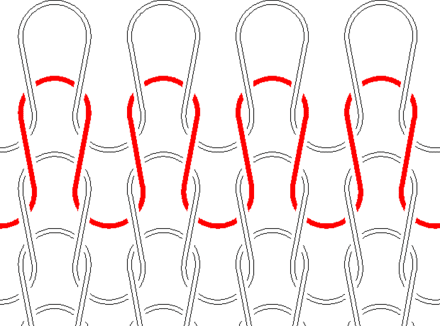 When a warp knitted or weft knitted fabric is drawn, vertical and horizontal yarn loop’s connected locations are slightly distorted. Let's get, the F say if force is pulled on DL amount is corrupted with stress in yarn loop connection. The angle of the thread in Warp knitted cloth is 45 degrees. Vertical few distortion = Horizontal few distortion. The connection between the interloping yarn of Weft knitting remains at 90 degrees. So the amount of stress of distorted yarn is influenced by vertical portion of loop in weft knitting. If we consider Newton’s third law in Weft Knitting, the horizontal portion of loop is neutral for regaining opposite force of distortion and only connected with vertical portion of regaining capability. But if we consider Newton’s third law in warp knitting, we see that the stress of vertical and horizontal portion of closed lap is equal and so the opposite force will be same for vertical and horizontal direction of fabric. So Warp knitted fabrics will have better elasticity. This is why the warp knitted fabric is more elastic than weft knitted fabric. From the definition of elasticity we know, when a force is applied on a material it goes on some is drawn on warp and weft.